GoodTemps Staffing Services offers a broad range of assistance programs and services to fulfill a diverse set of our communities employment needs. In addition to helping people prepare for, find, and retain good jobs, GoodTemps wraps their services around multiple programs offered by Goodwill Industries of West Michigan. They are related to support services such as financial literacy, tax preparation services, resource assistance, skills assessment, personal coaching, transitioning ex-offenders, veterans support and more. GoodTemps dovetails with local organizations to assist individuals which in turn strengthens their families and ultimately the community at large by providing the tools they might need to be successful. 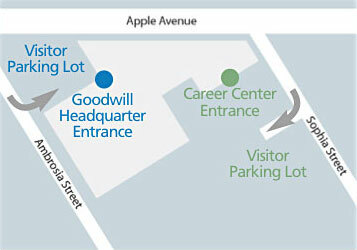 Goodwill provides free tax preparation services for qualifying low- to moderate-income individuals and families. For detailed information and eligibility requirements, visit the VITA web site. To become a volunteer call (231) 722-7871, ext. 256. Offender Success is a state-wide strategic approach to creating safer neighborhoods and better citizens through the delivery of a seamless plan of services, programming, support, and supervision for prisoners re-entering the community. Program participants are referred by the Michigan Department of Corrections Parole Board. The EX-offenders In Transition Program provides comprehensive support services to criminal offenders living in the cities of Muskegon and Muskegon Heights. In partnership with nonprofit organization 70x7 Life Recovery, this alternative sentencing option provides participants referred by the Muskegon County Probation Office with case management, mentoring, and occupational training. Under the U.S. Department of Veterans Affairs’ Supportive Services for Veteran Families Program, Goodwill provides supportive services to low-income Veteran families living in or transitioning to permanent housing in Manistee, Mason, and Oceana counties.